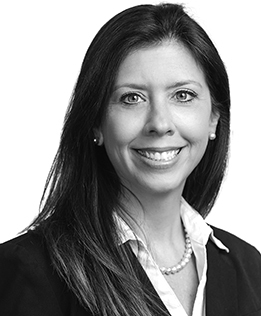 As Director, Special Projects, Kristin Oates manages project-specific activities relating to operations and administration of the New Orleans office. Ms. Oates’ extensive policy and political experience at the state and federal level on issues impacting Gulf Coast commercial fisheries have proven indispensable to GCG’s ability to effectively handle environmental matters concerning wildlife and fisheries. Over the past two years, Ms. Oates has played a vital role in all aspects of GCG’s handling of the $10.3 billion BP Deepwater Horizon Settlement for which she was director of Operations involved in budgeting and forecasting, as well as oversight of the Subsistence claims processing team. Ms. Oates has frequently been engaged by the client on fisheries-related program decisions to capitalize on her knowledge of fisheries. Ms. Oates is also working on GCG’s team which is the only vendor working directly for the court-appointed claims administrator on the combined $1.2 billion Halliburton Energy Services Inc. and Transocean Ltd. Punitive Damages and Assigned Claims Settlements, in which GCG is responsible for allocating and distributing 72 percent of the funds for punitive damages relating to the 2010 Deepwater Horizon oil rig explosion. GCG’s team is building the framework for this program. Prior to joining GCG, Ms. Oates spent many years in the public sector in roles including Executive Director of the Chef John Folse Foundation, Assistant Executive Director of the Recreation & Tourism/Seafood Promotion and Marketing Board of the Louisiana Department of Culture, and as Executive Director of the Louisiana Tourism Coastal Coalition. In 2014 she was named Government Financial Manager of the Year by the Association of Government Accountants, Louisiana chapter, where she was praised for her achievements in the areas of financial leadership in government programs, as well as her individual integrity in applying innovative management techniques. She is a Certified Government Financial Manager. Ms. Oates is a frequent speaker and writer on topics including domestic aquaculture, commercial fisheries challenges and opportunities, regulatory and legislative updates as well as governmental accounting.